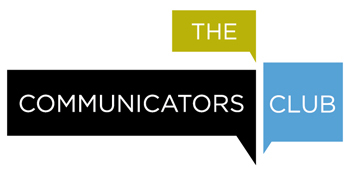 not a current member of The Communicators Club. Application supporting files must be emailed to scholarship@communicatorsclub.org no later than March 15, 2019.
what your career objectives are following graduation. 2. Three samples of communications work. Applicants are encouraged to provide a variety of work that reflects overall communications skills. Samples may include written materials, such as brochures, newsletters, articles, design samples; or broadcast and other multi-media work. Include an introduction of the communications samples; explain whether each sample was the result of a class assignment or part of an internship, and your role in the preparation of this material. 3. Two letters of reference. One reference must be an instructor or faculty advisor; the other someone who has supervised the applicant in a volunteer or employment position. TCC’s Scholarship Committee will not review any materials before the deadline; applicants may add, delete or modify materials until the deadline. Each applicant must submit all materials via email by March 15, 2019.
Letters of reference should be sent via email to scholarship@communicatorsclub.org and must be received by March 15, 2019. NOTE: Incomplete applications packages will not be eligible for consideration. The winner will be notified during April 2019. The scholarship will be presented at TCC’s Annual Meeting in May.